Data Control Language decides to whom should (which user) permit access privileges. GRANT and REVOKE are the commands of DCL. GRANT: It gives privileges to user. REVOKE: It takes back privileges from granted user. Data Query Language does not make any changes in database. Neither schema level nor data level. 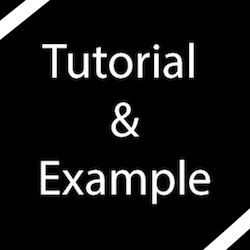 SELECT is a command of DQL. 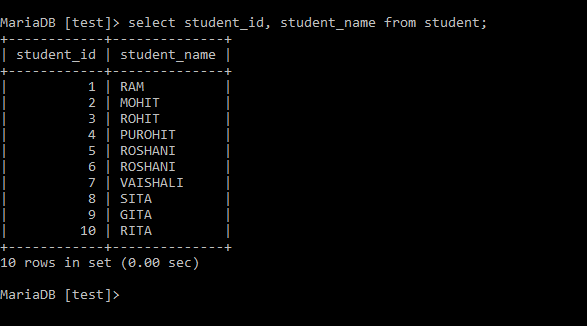 SELECT: Retrieves data /records from table. 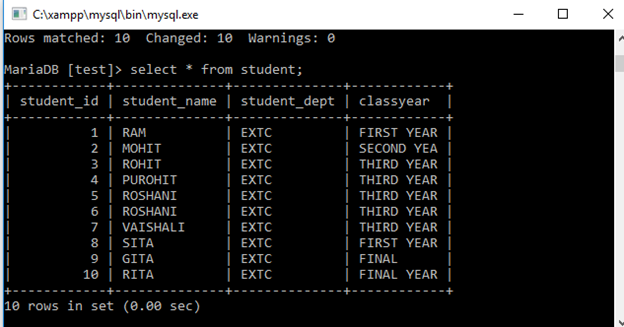 SELECT Column_1, Column 2, ….. This query retrieves single record with all its attributes/columns. ‘* ‘Indicates all the fields/attributes/columns in the table. Where condition is specified for a particular record. It will retrieve all records and all the columns from the table. Where condition is not specified to fetch a particular record.